Holly Boldt has a secret. Well, technically, she has lots of them. After a scandal uproots her entire life, she is forced to relocate to a halfway house for displaced paranormals. It’s her last shot for a fresh start. But keeping secrets isn’t easy in a town that goes through gossip faster than tissue paper, even for a powerful witch. When a murder sends shock waves through the small community, Holly finds herself tangled up in the investigation. 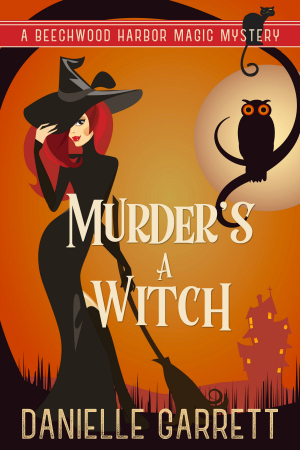 With everyone watching, Holly must solve the case before she’s forced to abandon her new found home and live life as a witch on the run. But with a paranormal investigator tailing her every move, civil war brewing between her vampire and shifter roommates, and her ghost landlord on the edge of a breakdown, she’s having trouble thinking in complete sentences. How is she supposed to track down a murderer? Holly has to make it work, or else risk losing everything…again.